Pregame:I thought I would begin this week’s column looking at the recent head coaching hires. 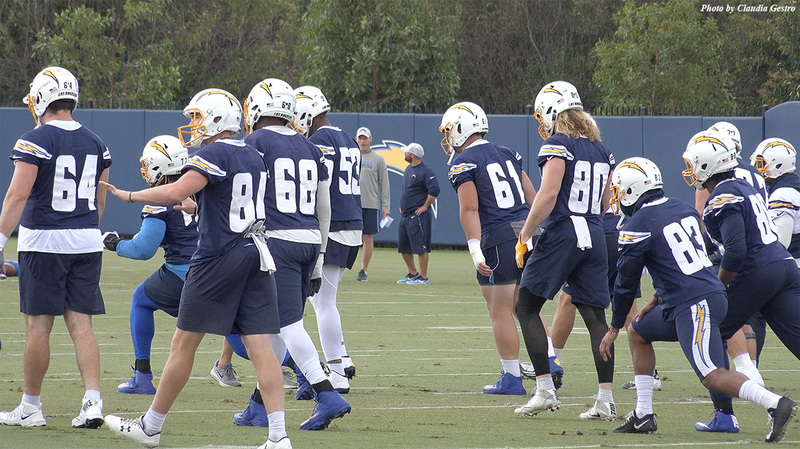 One-fourth of the league’s team fired their head coaches and what stands out about the guys hired to fill the vacancies is the variety of expertise they bring. Believe it or not, not everyone hired another Sean McVay. Cleveland made a smart move and hired Freddie Kitchens, the man who finished out the season as their offensive coordinator. He clearly developed a strong working relationship with quarterback Baker Mayfield and the continuity he will bring should make a world of difference. Cleveland will be a fun team to follow next year. The Jets decided to hire Adam Gase who was let go by division rival Miami a week earlier. Gase beat out ex-Packer coach Mike McCarthy and should enjoy having Sam Darnold as his quarterback after trying to make something out of Ryan Tannenhill. The Jets showed signs of talent on both sides of the ball and it should not take long to see whether or not Gase does better this time around. Tampa Bay hired former Cardinals head coach, Bruce Arians, which was a bit of a surprise. At 66, most people thought Arians was done with coaching. Instead, he gets to try and turn around another franchise that has struggled quite a bit. However, instead of having Carson Palmer as his quarterback, he is stuck with Jameis Winston. I’m thinking only one of the two will be in Tampa Bay a year from now. Denver was unable to find the next great offensive mind so they hired defensive guru Vic Fangio as their head coach and will look to find someone to hand the offense over to. Fangio will be expected to maintain the strong Denver defense while John Elway seeks an offensive mind to lead the team out of their scoring doldrums. However, until this happens, Denver will continue to play catch up with their rivals, Kansas City and the Los Angeles Chargers. Green Bay gave Matt LaFleur his first head coaching job in the NFL. He should prove a popular hire for Aaron Rogers and bring with him a less predictable and more exciting offensive approach. The team still needs skill players to compliment Rogers and a defense that can step up to the level the Bears and Vikings have if they want to win the NFC north next year. Arizona hired Kliff Kingsbury. This was an interesting hire because Kingsbury failed to find success as a head coach at Texas Tech before getting fired this season. However, he has a proven track record developing quarterbacks which should help Josh Rosen. Kingsbury was also the offensive coordinator at USC for all of 35 days before quitting there to interview for NFL jobs. The Cardinals interviewed him briefly and then offered him the head coaching job a few hours later. This will either turn out to be the best hiring of the bunch or one fans will laugh about for decades. In Cincinnati, all signs point to them wanting to hire Rams assistant Zac Taylor. However, league rules prohibit teams from hiring assistants who are currently coaching a team in the playoffs. Taylor, who is a trendy pick because of his relationship to Sean McVay, is in for a big surprise. The Bengals operate like a slow moving iceberg and are known for going cheap, even if it means not making the playoffs. Taylor will get his feet wet as an NFL head coach and he may be given more job security considering the team kept their previous coach, Marvin Lewis, for 16 years without any playoff success, but if he wants to coach a proven and consistent winner, there are about 31 other NFL franchises he might want to consider first. Finally, it appears the Miami Dolphins also are willing to wait until their division rival Patriots season ends to announce their desire to hire Pats assistant coach Brian Flores as their head coach. Now, Miami just needs to find someone who can play quarterback to turn that organization around. They would be wise to either offer a big contract to Nick Foles if he becomes a free agent or try signing someone like Joe Flacco while hoping to find another quarterback in the next year or two in the draft. First Down: Kansas City 31 – Indianapolis 13:Despite a resurgent Andrew Luck, the Colts finally ran out of luck and saw their season end in convincing fashion. Chiefs quarterback Patrick Mahomes was unfazed by neither the Colts defense or the winter storm conditions and lit up the opposition from start to finish. The Colts were just a tired team and it showed. After a horrific start to their season, Indy had to claw their way into the playoffs and did so in a manner that had many convinced they could go toe to toe with the Chiefs. However, anytime a team has an extra week to rest up and prepare for an opponent who has to play in your stadium, they are going to be difficult to beat. Indy has much to look forward to next year and will be a trendy pick to perhaps make a very deep run in next year’s playoffs. Meanwhile, this is as good as it gets for the Chiefs who look back to being red hot. No doubt Mahomes will be up to the task. It’s just a matter if the Chiefs defense is too. Second Down: LA Rams 30 – Dallas 22:It’s hard to believe at one point the Cowboys were up 7-3 in this game. 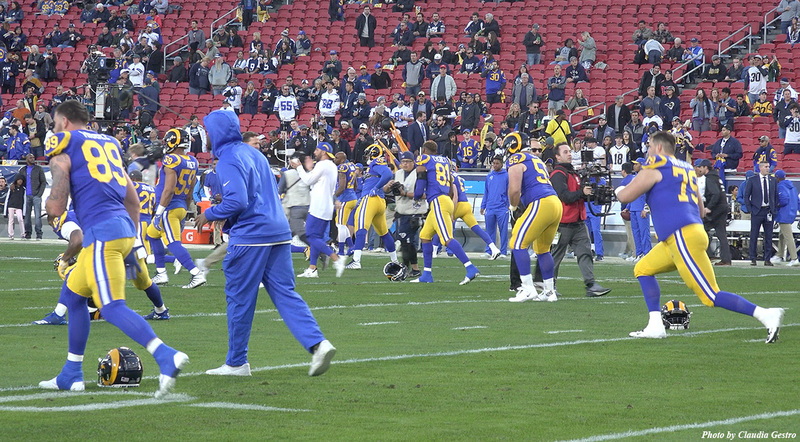 Perhaps the Rams just needed a little more time to get warmed up after a week off. However, once they were, rather than relying on their passing attack, they shoved a two headed beast down the throats of the Cowboy defense and ran right through them. It’s never a good thing when Todd Gurley is the second leading rusher when he has over 100 yards on the ground, but it is also never a good thing for a defense to have to stop both him and CJ Anderson. More than anything, this game shows why it is important to take care of business all season long. I think a rested Dallas squad might have made this a far greater challenge for the Rams. Instead, it showed how difficult it is to beat a really good team on a short week in which you have to play on the road. Dallas can begin dreaming about next season and like the Colts, will have a lot of fans thinking they will be great next year. Time will tell. For now, their season is finished while the Los Angeles Rams lives for another week and a shot at a Super Bowl. Third Down: New England 41 – LA Chargers 28:This game was a real nail biter from kickoff until the midway mark of the first quarter. After that, the Patriots had their way with the best Charger team to come along in quite a while. Many thought this would be the one game where the home team loses, but the Bill and Tom show made sure it did not happen. 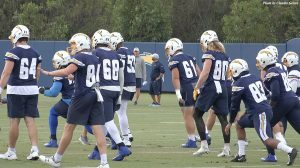 Now, the Chargers are left with a bitter taste knowing they were one of the few teams built to win against a variety of teams who play different styles. This game should also put to rest the talk of Philip Rivers being more deserving of the Hall of Fame over the likes of his peers who have Super Bowl titles. I am not even sure you can consider him the greatest quarterback to never win a Super Bowl. Then again, maybe if the Chargers had a healthy batch of linebackers and running backs, Rivers makes a game of it. All I know is no one calls the Patriot defense great and the offensive weapons Brady has had to work with this year have been below par and yet Tom Brady and company continue to roll along. Fourth Down: New Orleans 20 – Philadelphia 14:After scoring on their first two possessions, the Eagles seemed headed for a major upset. Unfortunately for them, they still had to finish out three quarters of football which turned out to be more than they could handle. 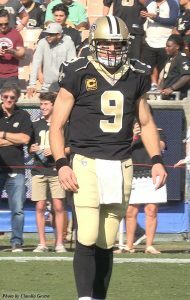 The Saints were a poised and patient bunch and Drew Brees managed to lead them on three long scoring drives while they slowly made the Eagles bleed out. The Saints did what no one else has been able to do and that was beat Nick Foles in a big game. Foles tossed two picks and was unable to provide the spark his team desperately needed. The only surprise here was the Eagles being able to make the Saints work for the win. Kansas City 37 – New England 27: The only way I see the Patriots winning next week is if the game is played in terrible conditions and both teams are left to dig deep into their playbook and grind things out. However, I think the Chiefs win this game going away for a couple of reasons. First, they took away some valuable lessons in their early season loss to the Patriots and have been wanting this rematch. There will be no intimidation factor and the Chiefs will feed off their home field advantage. Second, I do not think we will see a conservative Andy Reid. He will go after the Patriot defense hard and not take his foot off the pedal once they get up. The Patriots are capable of scoring their share of points against any leaky defense, but I think the Chiefs defense benefits from having already gone up against Brady. They will have a well scripted game plan as much as their offense and it will be the Brady Bunch who finds themselves in over their heads. 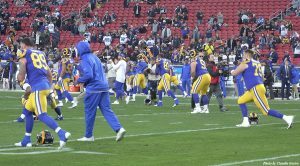 New Orleans 35 – LA Rams 33: This is going to be a great game. 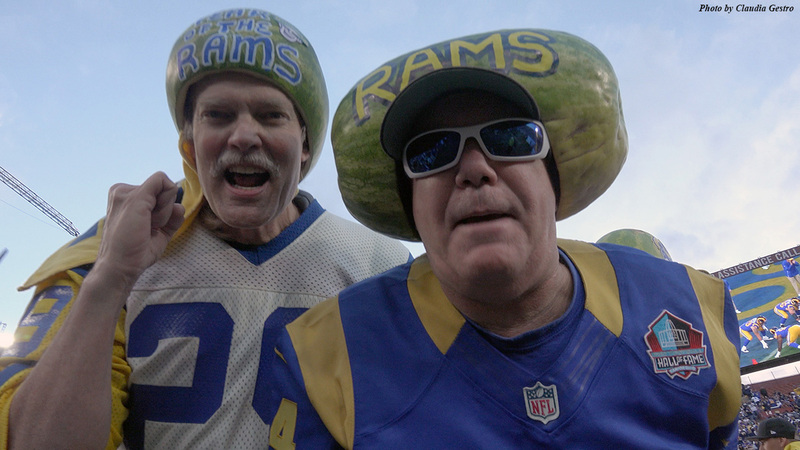 The Rams will not be intimidated by the Saints crowd or their offense. They know they can match them with fire power so I expect a high scoring game. I won’t be surprised if this is one of those classics that come down to the final drive, perhaps even the Rams needing to convert a two point conversion to send it into overtime only to come up short. However, rather than getting into a track meet with Drew Brees, Los Angeles’ best shot is being able to control the ball and wear out the Saints front with Todd Gurley and CJ Anderson, much like they did against Dallas. The fewer times Drew Brees gets to lead the offense, the greater the odds are the Rams come out on top. Two coaches named Sean will match their offensive wits, but do not be surprised to see the game turn on a special teams play or turnover. In the end, it will come down to which quarterback do I like most in crunch time and I have to go with Brees. Song Dedication: The home teams all won which makes me think the winners of the Wildcard round just plain ran out of gas and were operating on fumes. In a big game, you need a full tank and theirs were empty. With that in mind, I dedicate this week’s song to the four teams who saw their season end.